The Friary Guildford is proud to announce that ‘the halow project’, a Guildford-based charity, has been selected as the Centre’s Charity of the Year! To kick off their support, The Friary Guildford has donated £500 to the charity. The ‘halow project’ provides opportunities and support for young people aged 16-35, with a learning disability, to access social activities, community-based learning and work life experiences in Guildford and the surrounding areas. The partnership aims to continue to build a link between The Friary Guildford and the community by providing fundraising opportunities and work-based placements as part of the ‘Building Futures Programme’. ‘Building Futures’ and ‘A Reason to Get Up’ are two established programmes halow are keen to invest in with the money raised. Both programmes focus on work-life experience, creating opportunities and developing skills. Fundraising plans will include Christmas Gift Wrapping and selling handmade products. Rachael Millward, Marketing Coordinator at The Friary Guildford, said: “Our panel of judges picked the halow project as the charity are passionate about supporting young people with learning disabilities. All children’s futures are important and we will aim to help with fundraising opportunities. 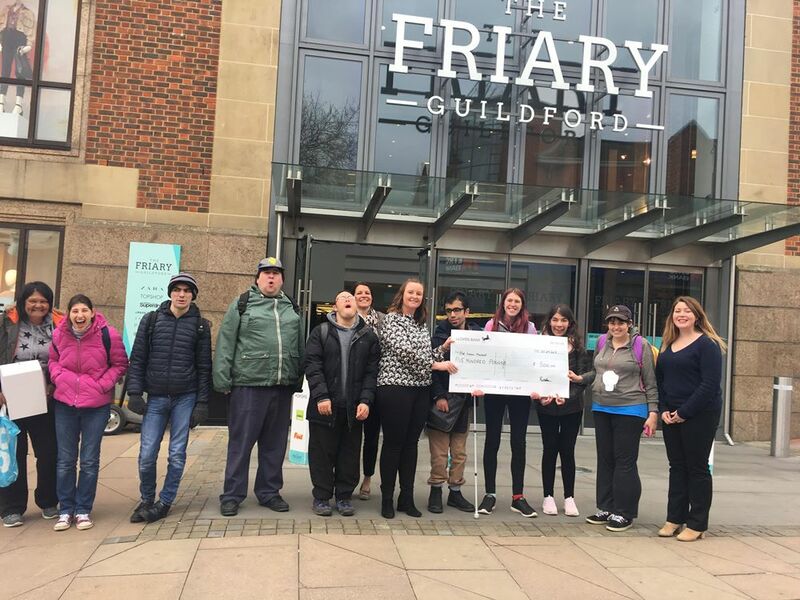 In addition to fundraising opportunities, The Friary Guildford will aim to support with work placements to support with the development and communication of young people”.